Port Canaveral, in the center of Florida's east coast, is not only the surfing capital of the Atlantic. It is also home to rocket and shuttle launches, the largest sea turtle nesting area in the country, the largest scallop fishery on the planet and a national refuge with more endangered species than any other. Even with all of these superlatives, most cruise passengers associate Port Canaveral with Orlando, just 45 miles west -- and with Walt Disney World, Universal theme parks and SeaWorld so close, it would be difficult to find a cruise port anywhere that offers access to more theme parks and family-friendly tourist attractions. But, for those who've already had (or care to pass up) the Orlando experience, Port Canaveral is definitely worth a pre- or post-cruise visit. The port bills itself as Orlando's closest beach with dolphins, manatees, loggerhead turtles and miles of pristine sand -- minus the crowds that are typical of South Florida. A mile and a half of bike paths run throughout Port Canaveral, as well as three parks, including Jetty Park where camping and fishing opportunities abound. The bustling Cove at Port Canaveral features a variety of restaurants and shops. But, with Port Canaveral smack in the middle of what's known as Florida's 72-mile Space Coast, the premier attraction is the Kennedy Space Center, where guests can meet and talk to actual astronauts. The U.S. Astronaut Hall of Fame, six miles from the visitors' center, houses the world's largest collection of astronaut memorabilia, as well as displays, exhibits and tributes to the heroes of Mercury, Gemini and Apollo. Port Canaveral is primarily a turnaround port, so for the most part, travelers pass through the area on the way to boarding their cruises. Ships based in Port Canaveral sail itineraries that range in length from three to seven days. 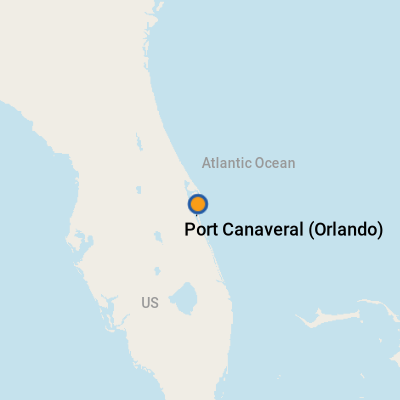 Considering its proximity to Orlando, it's no surprise that Disney Cruise Line's fleet homeports there, but Carnival and Royal Caribbean vessels also call Port Canaveral home. It's mostly a turnaround port, but some lines (such as Norwegian Cruise Line and Seabourn) make regular port calls there throughout the year. Cruise ships dock at Port Canaveral, about 54 miles from the Orlando International Airport, less than an hour's drive. There are three terminals: Disney docks at its dedicated facility (terminal 8); other ships dock at either terminal five or terminal 10. Port facilities are contemporary but offer no services. Jetty Park is located at the east end of the port, near the Southside terminals. It has an oceanfront beach with year-round lifeguards, a snack bar, campground, children's playground, a bait-and-tackle shop and a lighted 1,000-foot-long fishing pier. In addition, the Cove area at Port Canaveral offers waterfront dining, and Cove Marketplace offers shopping. If you are lucky, you might be in town for a rocket launch. However, it's hard to plan ahead, due to the frequency of delays because of weather and technical problems. Check with hotels or the Kennedy Space Center for a schedule of space launches. If you're heading to Orlando remember the summer and school holiday periods, in general, are the busiest seasons. The parks are naturally more crowded then, and lines for rides are longer -- an hour or more in some cases -- which can be frustrating, particularly on a first visit when you want to "see it all." Not all taxis in Orlando are metered. Before getting into an unmetered taxi, settle on a fare with the driver. If you request a taxi through your hotel, note that sometimes they use nonmetered, limo-service cars that may be more expensive. Clarify that you want to get a taxi, not a limo car. 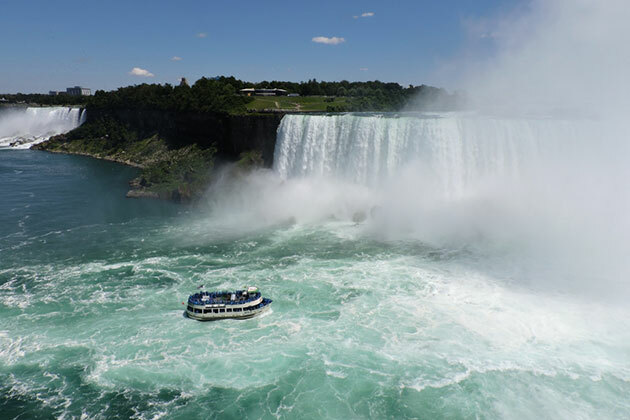 By Car: For those who fly to their cruise, renting a car is an excellent choice, both for day-trippers and for those who are staying multiple days, because attractions are spread out. Secure parking is available at the pier, and most hotels offer stay-and-park packages for cruise passengers. Renting a car is a good option, since the port is an easy 50-minute drive from Orlando International Airport. Avis, Hertz and Budget all have rental offices close to the pier. There are free shuttles at the pier for pickup, passengers can drop their cars off at the nearby rental office, and the rental companies have free shuttles to the pier. Those staying in Orlando post-cruise can return rental cars at the Orlando International Airport. By Taxi or Shuttle: All cruise lines offer shuttles from the Orlando airport as part of cruise packages, or they may be arranged separately. In the port area, Art's Shuttle (321-783-2112), Blue Dolphin Shuttle (321-433-0011) and Busy Traveler Transportation (800-496-7433) all offer shuttle transportation. Beasley's Limousine (321-453-3680) and Hot Rayz Limousines (321-412-2202) offer limo service. Taxis are always available at the pier. Local Port Canaveral transportation: If you want to stay in the area, there is limited shuttle service offered by cruise tour desks to Cocoa Beach (a small coastal city that is adjacent to the even smaller Cape Canaveral). There are also independent shuttle services that operate from the port. (The shuttle drops you across from Ron Jon's Surf Shop; the Cocoa Beach pier, with its restaurants and bars, is a solid half-mile hike north.) The shuttle also goes to Merritt Island and drops off at Wal-Mart and a local mall. It picks up every 20 minutes. In Orlando: The I-Ride Trolley runs up and down International Drive or "I-Drive", as the locals call it. This major road is the site of many restaurants, attractions, nightclubs, hotels and shops. It costs $1.25 per adult to ride one way ($4 for an all-day pass). The trolley operates from 8 a.m. to 10:30 p.m. and makes 100 stops, stopping every 20 minutes or so. Children, 12 and younger, ride free with a paying adult. Lynx offers public transportation to theme parks and tourist destinations in Orange, Osceola and Seminole Counties. (Seven-day passes are available.) It also provides the free Lymmo Bus in downtown Orlando. The bus goes back and forth from the Central Plex area to City Hall. Many Orlando hotels offer complimentary shuttles to the Disney theme parks and/or Universal Orlando parks. Guests staying at Disney resorts have complimentary bus, launch and/or monorail transportation to all the Disney theme parks; water parks; Downtown Disney shopping, dining and entertainment complex; and other attractions on Disney property. The currency is the U.S. dollar. Credit cards are accepted everywhere, and ATM's are available in major hotels and at tourist attractions. On the south side of the port on George King Boulevard is a Wachovia Bank with an ATM. In Orlando, ATM's are available at major hotels and and at all the theme parks. English is the primary language spoken in Port Canaveral, but you're also very likely to encounter some Spanish. Along A1A, near the port, are a number of typical chain restaurants for a quick lunch or snack. But, what people look for when dining in the Port Canaveral area is fresh seafood. Overlooking the Port: Grill's Seafood Deck & Tiki Bar (505 Glen Cheek Drive, Cape Canaveral; 321-868-2226) offers fresh seafood and exotic drinks in the waterside setting overlooking the port and its cruise ships. At Cocoa Beach: Coconuts on the Beach (2 Minutemen Causeway, Cocoa Beach; 321-784-1422) is famous for its parties, award-winning clam chowder and fresh Florida seafood caught by the local fishing fleet. Coconuts offers shuttle service from the port to Coconuts at the Beach, and daytrip packages, which include beach access and food, are available. Or, try Atlantic Ocean Grill on the pier (401 Meade Avenue, Cocoa Beach; 321-783-7549) and Oh Shucks Raw Bar (321-783-7549) -- ocean seafood and terrific views are house specialties. For Shrimp Lovers: Dixie Crossroads Seafood Restaurant (1475 Garden Street, Titusville; 321-268-5000) is famous for its shrimp and has been serving all types of seafood since 1983. Lunching at the parks: At Walt Disney World's Magic Kingdom, Pinocchio's Village Haus in the Fantasyland section of the park, is convenient to such attractions as It's A Small World, Cinderella's Carousel and Dumbo and offers burgers, fries, sandwiches and such. Prices are less than $15 per person. For table service, Tony's Town Square Restaurant serves Italian fare -- the chicken parmesan is delicious. It's open for lunch between 11:30 a.m. and 2:45 p.m. and is also open for dinner. Prices range from $15 to $29.99. At Epcot, a good spot for a quick lunch is the Lotus Blossom Cafe (11 a.m. to 9:30 p.m.), in the China pavilion; try the egg rolls and beef rice bowl. We also love the Nine Dragons Restaurant (noon to 9 p.m.) for Chinese gourmet fare, including peppery shrimp with spinach noodles, vegetarian stir-fry and strawberry red bean ice cream. At Universal Orlando Resort, Mel's Drive-In (noon to 7 p.m.) is a 50's-style eatery with golden oldies in the jukebox and burgers, fries, milkshakes and root beer floats on the menu. Try Lombard's Seafood Grille for Victorian-style surroundings, a large aquarium and great seafood, including New England clam chowder, Bay Shrimp Cobb Salad and a yummy seafood salad. In Downtown Disney's Marketplace, options include the Rainforest Cafe and Fulton's Crab House, located in a replica of a 1900's riverboat. Quicker and less expensive choices include Earl of Sandwich, an outlet of the national chain, and McDonald's, next to the LEGO Center. Other places in the Westside area include Bongo's Cuban Cafe, co-owned by singer Gloria Estefan, offering authentic Cuban cuisine; Wolfgang Puck Cafe, with an outdoor dining area and indoor seating; and Planet Hollywood, with movie memorabilia. Lunching in downtown Orlando: If you are visiting the Orange County Regional History Center, Lake Eola or other attractions in downtown Orlando, try Tijuana Flats, which features Tex-Mex specialties like fresh salads, quesadillas and tacos. Entrees are less than $10. A T-shirt from the massive Ron Jon Surf Shop in Cocoa Beach -- open 24 hours a day, seven days a week -- is a must. Other unique options include freeze-dried ice cream and other space food from the Kennedy Space Center gift shop. Any drink that includes orange juice (mimosas and screwdrivers are popular choices) is a sure winner, as Central Florida has numerous orange groves for an abundance of fresh fruit and juice. Or, perhaps, try a beverage that's a bit more exotic like a "Burnt Orange" (brulee orange muddled with agave nectar, Don Julio Tequila, Anejo Tequila, Grand Marnier, orange juice and flaming orange). It's one of the signature cocktails ($13) at Todd English's bluezoo, a trendy restaurant and bar at the Walt Disney World Swan & Dolphin Resort.